An historical (and sometimes humorous) account of the buildings, businesses, and people who were involved in the evolution of Main Street, Colville, WA. 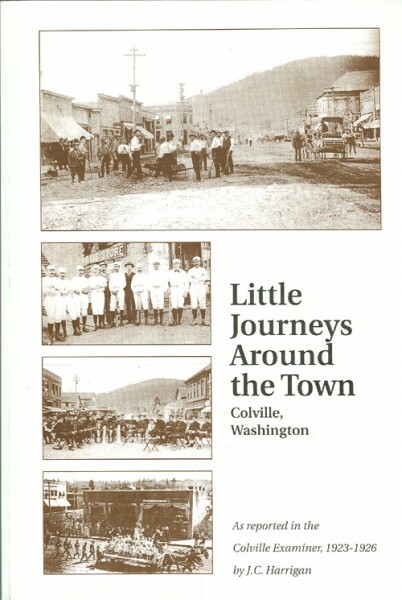 Text written in the 1920s by the then-publisher and editor of the Colville Examiner, J.C. Harrigan; covers the history of Colville from it's beginnings to the mid-1920's and beyond............320 pages, 166 photographs, plus an all-name index. The following surnames can be found in this book.